Our new Wolfkamp & Stone calendar for 2017 is now in store. 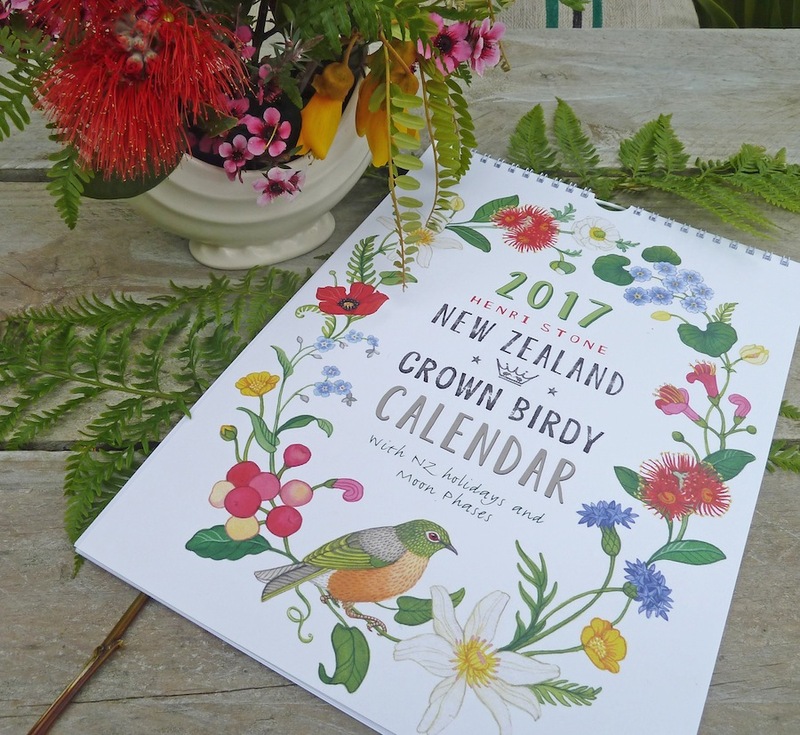 The A4 sized calendar features 12 designs by Henri Stone from the ‘Crown Birdy’ series which combine Crown Lynn vases, NZ native birds, plants and flowers and NZ garden flowers. 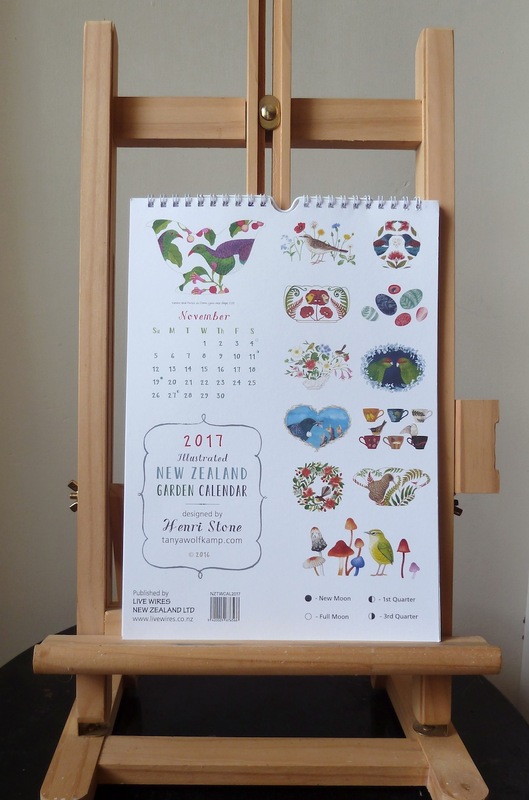 Printed on lovely matt light card stock the calendar has a contemporary, yet vintage feel. It has a sturdy spiro binding and includes NZ holidays and moon phases. 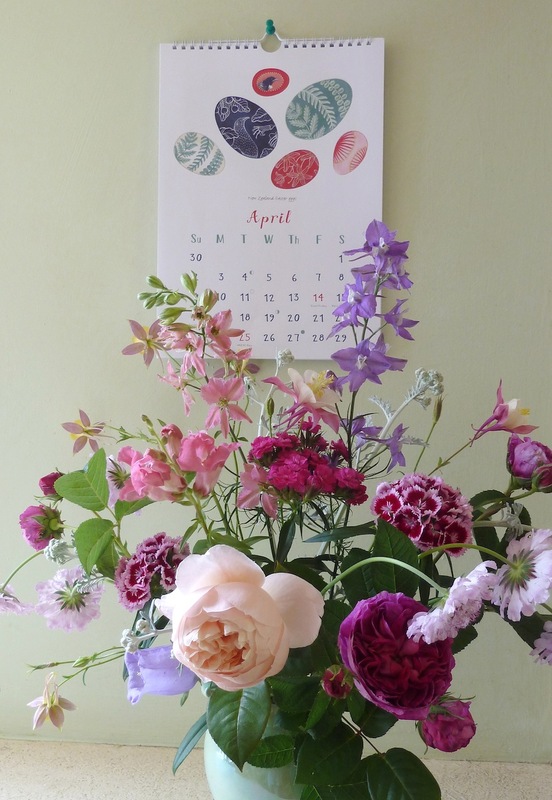 The calendars are published and distributed by LIVE WIRES NZ LTD so please contact them for wholesale orders or to find a stockist near you.